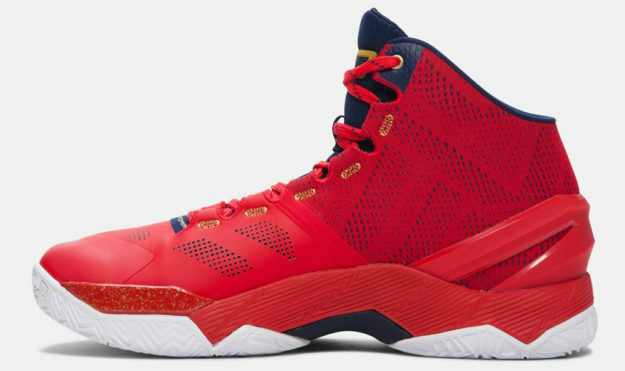 Because playing basketball involves a lot of running, jumping and quick changes in direction, wearing a proper pair of sneakers with a perfect fit and great durability is absolutely key. 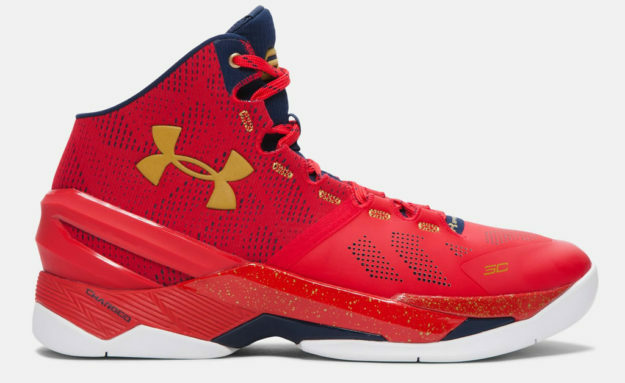 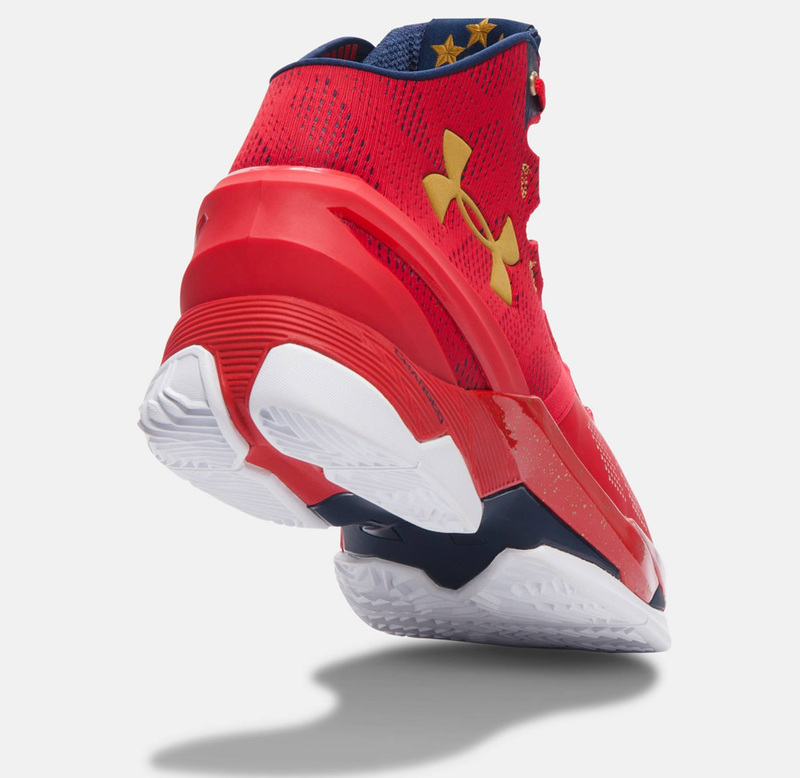 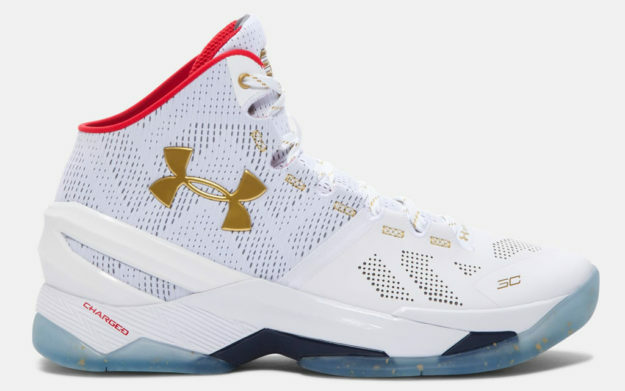 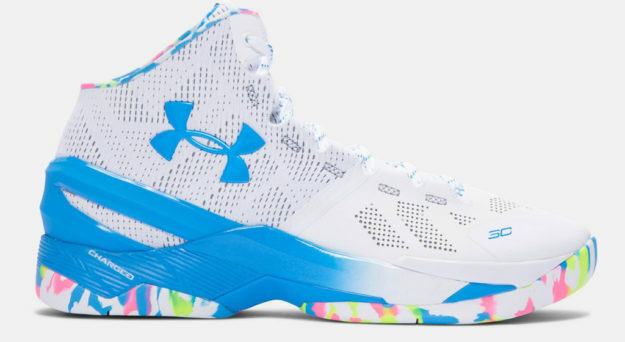 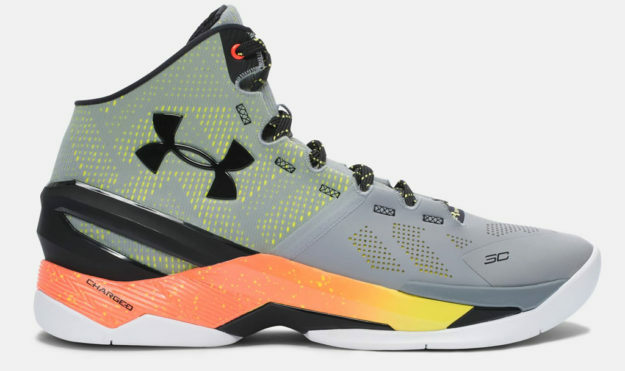 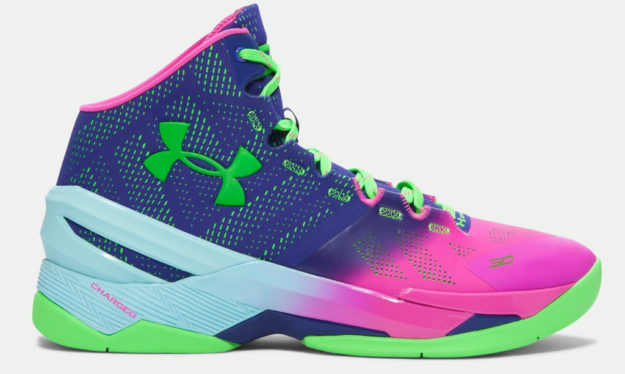 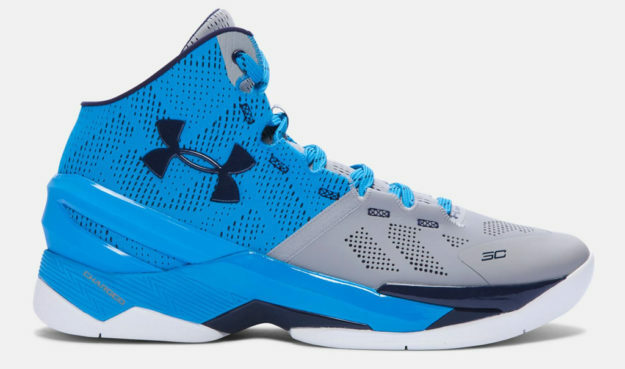 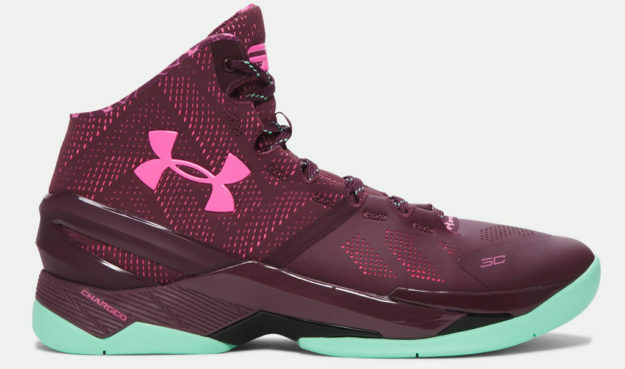 Called Curry Two, these Under Armour men’s basketball shoes meet all the requirements for a comfortable and performance-enhancing gaming experience. For no-sliding movement, the midfoot shanks and external heel counter provide locked-in stability though arch, heel and forefoot. 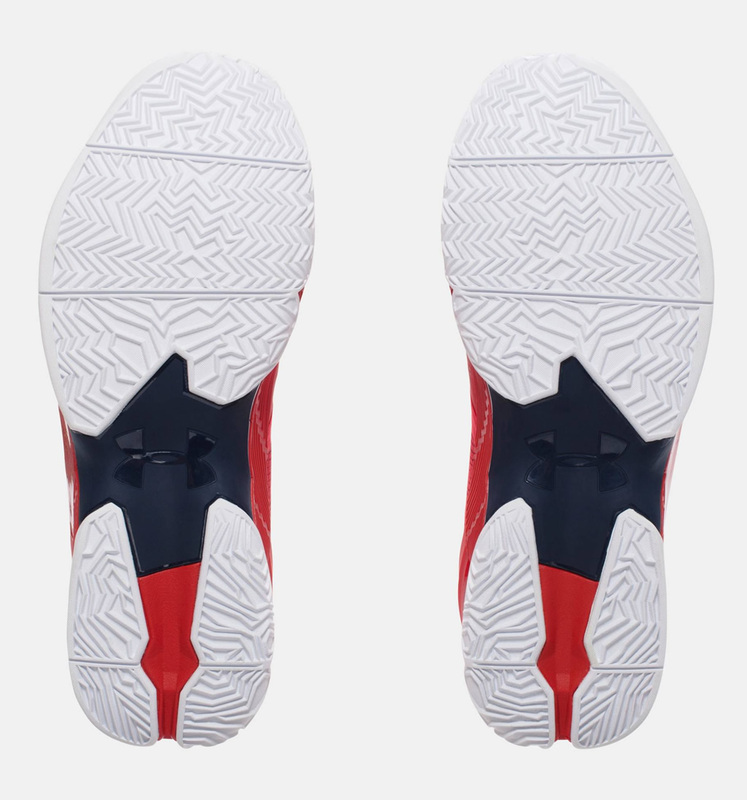 A more precise fit is ensured by the SpeedForm technology of the upper, which molds naturally to the foot. 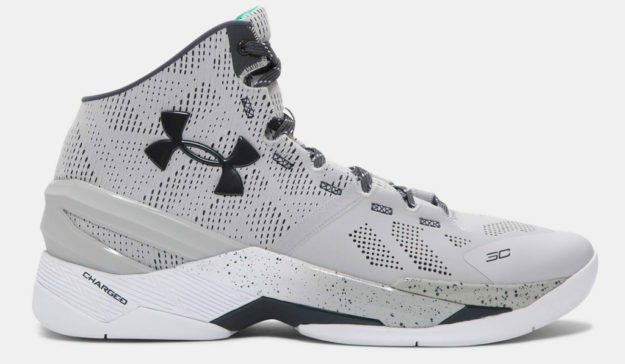 Impact is absorbed by the full-length Charged Cushioning midsole, while the multi-directional Organic Herringbone outsole ensures optimum floor grip and control. 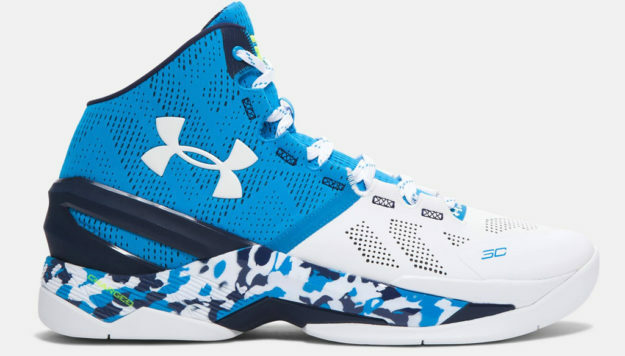 To top it all off, the perforated material allows your feet to breathe and stay cool during the game.